Paul Rowe participated in rugby, as well as track and field in Victoria, BC before attending the University of Oregon. He was twice All-Western while with the Calgary Bronks, and was the leading scorer with 61 points in 1939. 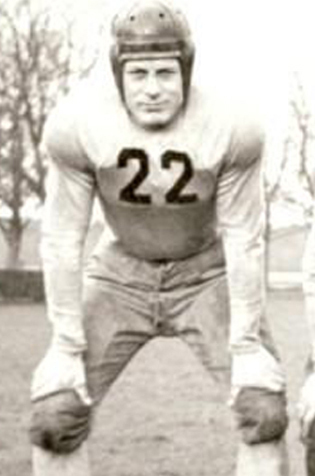 Rowe, who was known as “Pappy”, was a member of the Stampeders’ squad that went undefeated throughout the 1948 season and brought the Grey Cup home to Calgary for the first time. Rowe was honoured at “Paul Rowe Night” on October 9, 1948. He is a member of the Alberta Sports Hall of Fame, the BC Sports Hall of Fame, the Greater Victoria Sports Hall of Fame, and Canada’s Sports Hall of Fame. Paul Rowe was named to the Wall of Fame at McMahon Stadium in Calgary.